3058 - Photo: Antony Guppy. 55011 (D9011) "THE ROYAL NORTHUMBERLAND FUSILIERS" heads past Welwyn Garden City with the 1N07 18:00 King's Cross - Newcastle service on the 19th August 1978. 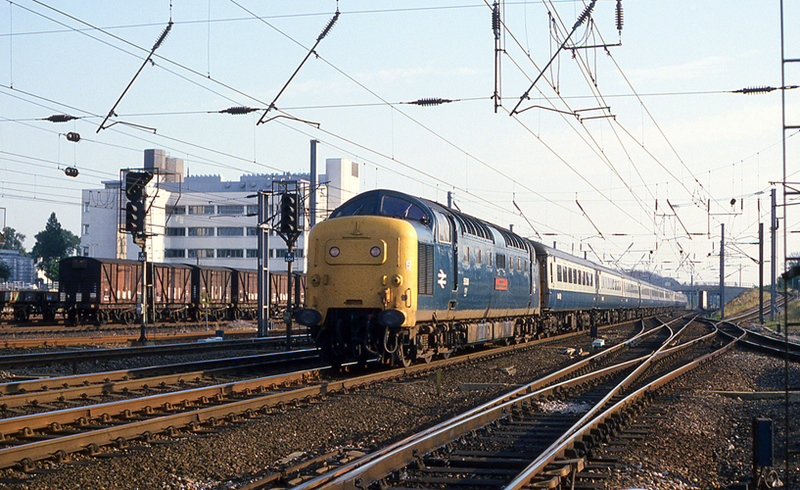 Note; the photographer recorded this as 1L17 18:04 King's Cross - Bradford and his pass time would concur with this, however, the consist still suggests a Newcastle bound service.